Winnipeg's JP Hoe has enjoyed a wave of critical acclaim since the release of his album Mannequin. 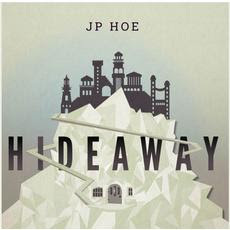 There's no reason to believe that will change once he unveils his new full length, Hideaway, on August 21st. Hideaway is a collection of ten mature, sincere, Adult pop rock tracks that refrain from straying into the cliched schlock that dominates terrestrial radio airwaves. That's established from the get-go as "Beautifully Crazy" is far more clever than what currently passes as pop. Strings and other orchestral elements play a large role in the song structure on Hideaway. On "Save You" it ably backs up a lofty chorus. It adds a gravitas to emotionally-charged numbers like "Danger" and "I Need You". The closer "Like I Did Back" ends with an instrumental set that makes one draw comparisons to The Beatles' "All You Need Is Love". One of Hoe's best attributes is his ability to mix things up. From his Adult Contemporary foundation he is able to sprinkle in some flairs that add intrigue. Whether it's a nasally country vocal on "Run Away From Me", a choppy string groove on "My Silhouette", and a dark cloud over "Yeah Yeah Yeah", he manages to keep things engaging. The arrangement adds a dash of whimsy to the otherwise serious "We Try". Things get slowed down considerably for the majestic "That Word". On that cut Hoe's voice has a surprising Jeff Buckley quality to it. With Hodeaway Hoe is starting to compile a formidable catalogue. Best tracks: "My Silhouette", "Save You"